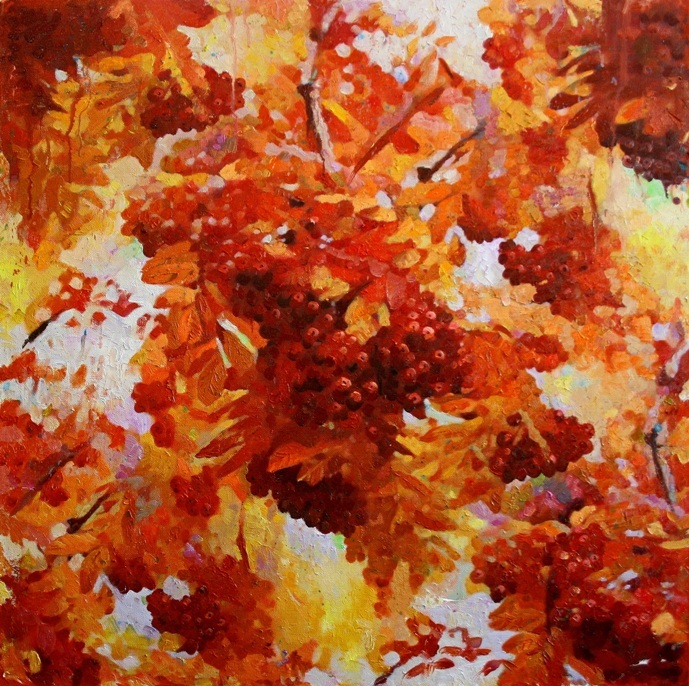 In autumn, rowan leaves from yellow-orange gradually turn into purple, resembling a burning bonfire. 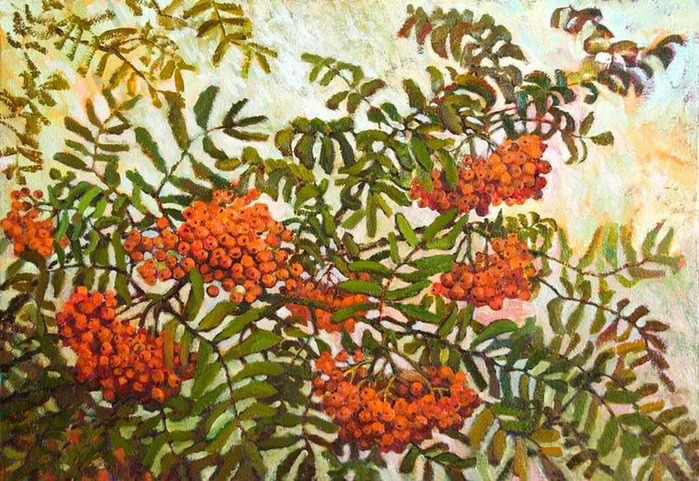 No wonder the graceful rowan inspired so many artists and poets. 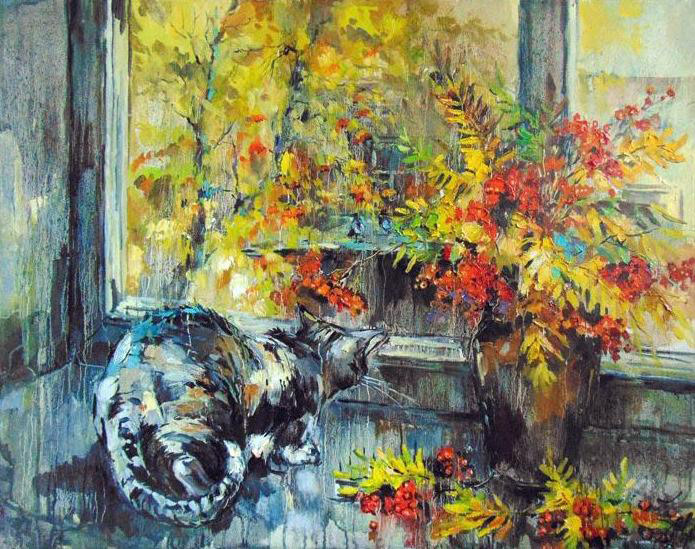 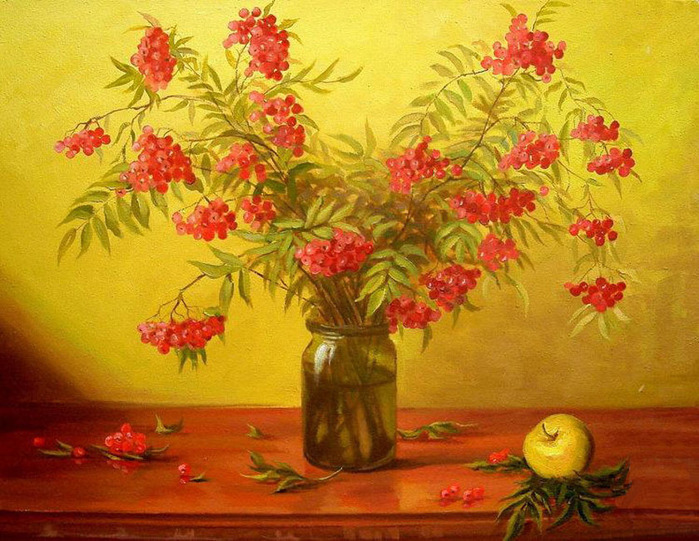 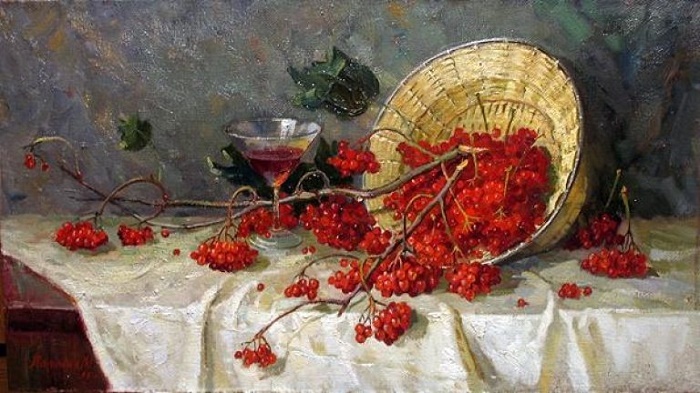 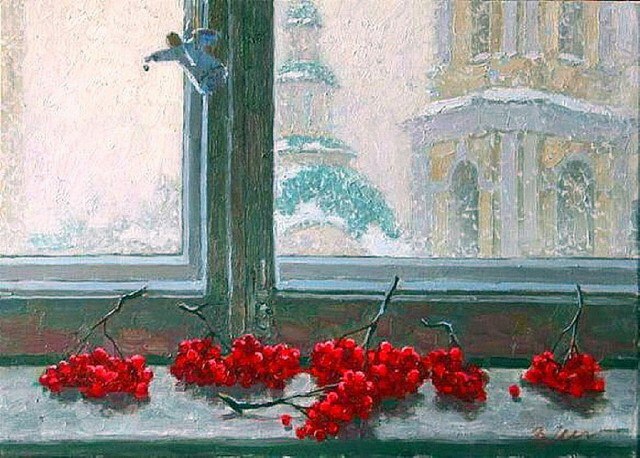 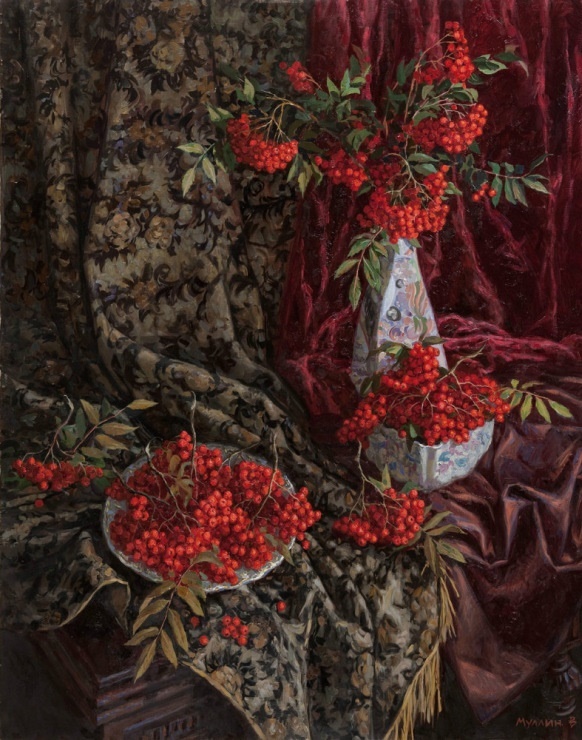 To rowan devoted a lot of songs and poems, and its bright red berries – often compared with beads. 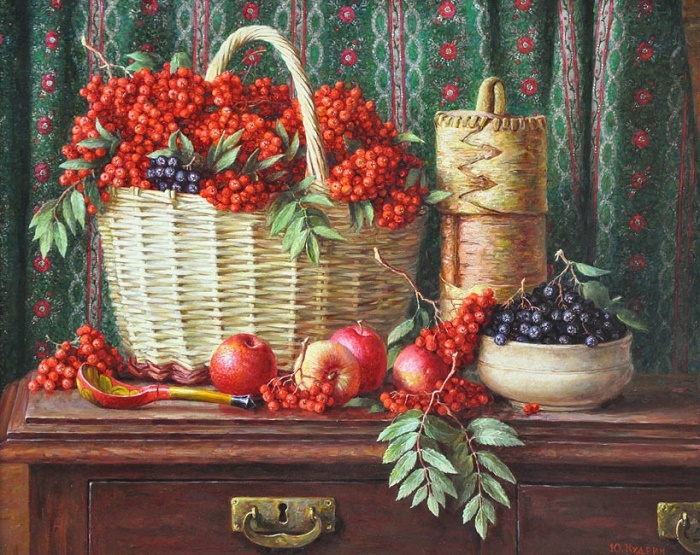 And the truth is, small round berries resemble a scattering of brilliant beads. 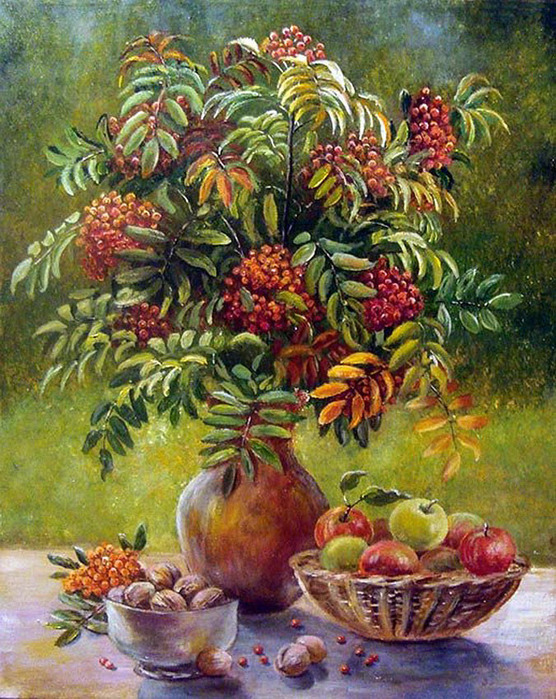 Undoubtedly, Nature gave the rowan a rich decoration to become the main ornament of the autumn forest. 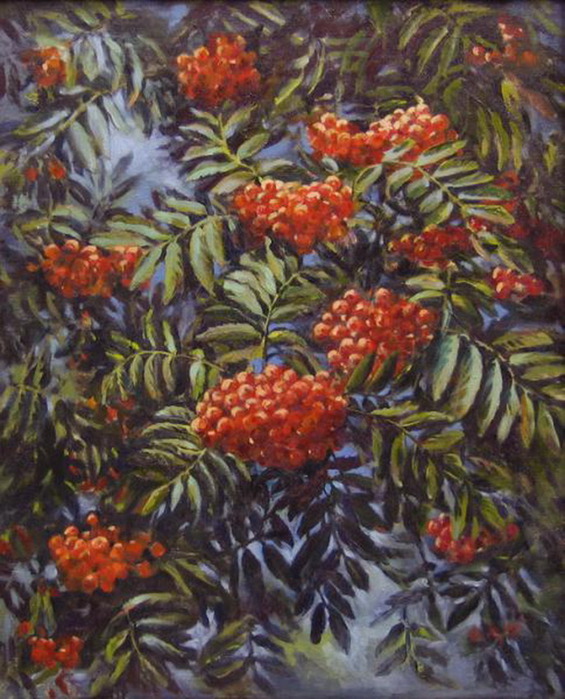 And how beautiful the rowan alleys are at this time of year! 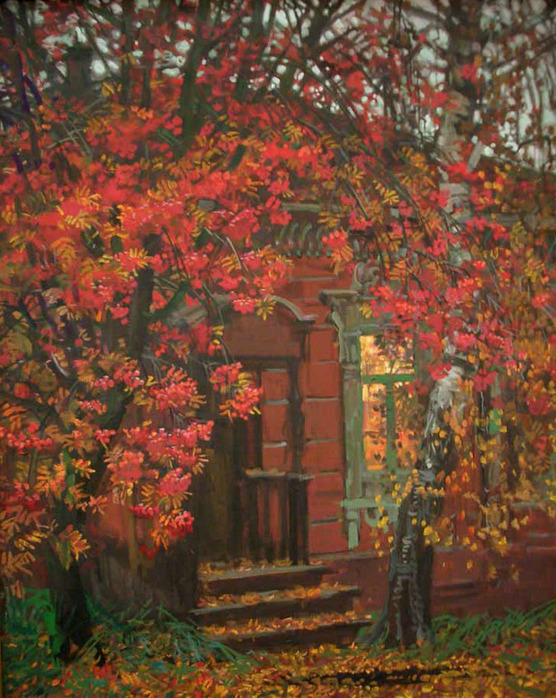 And it is impossible to pass by and not admire this beautiful tree! 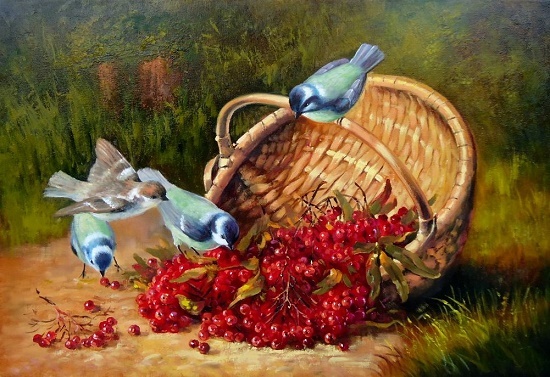 During a long cold winter, its delicious fruits will save many birds from the hunger. 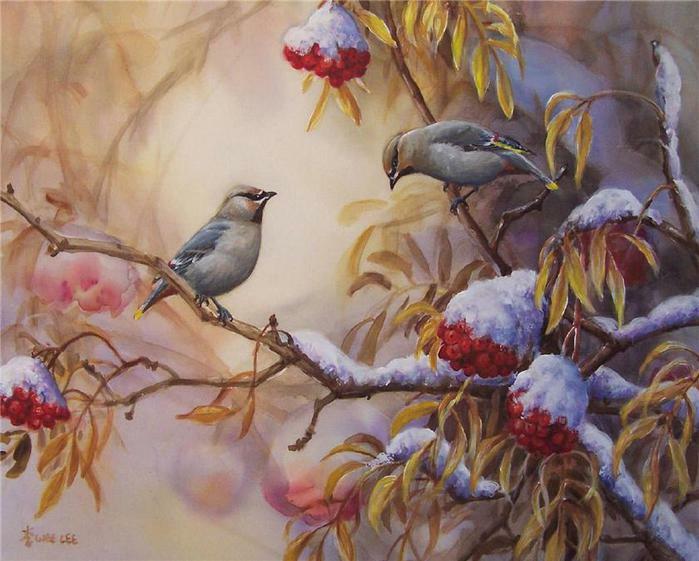 Indeed, the flocks of loud-nosed bullfinches and waxwings become frequent guests. 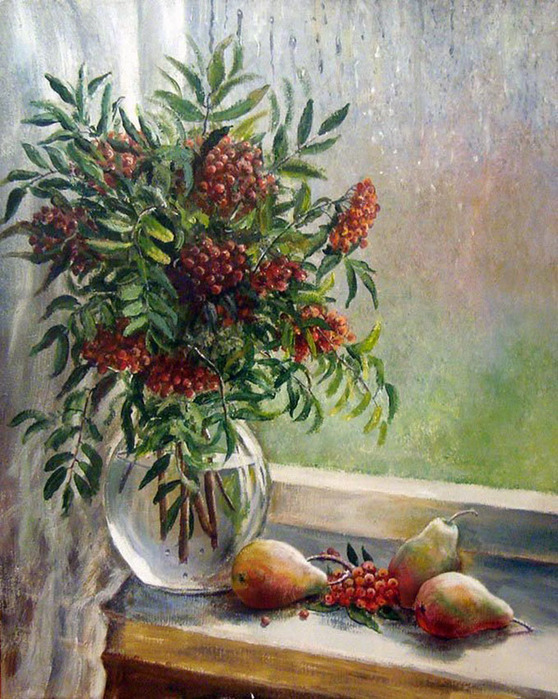 And how beautiful can be ordinary ashberry, if you look at it through the eyes of the artist! 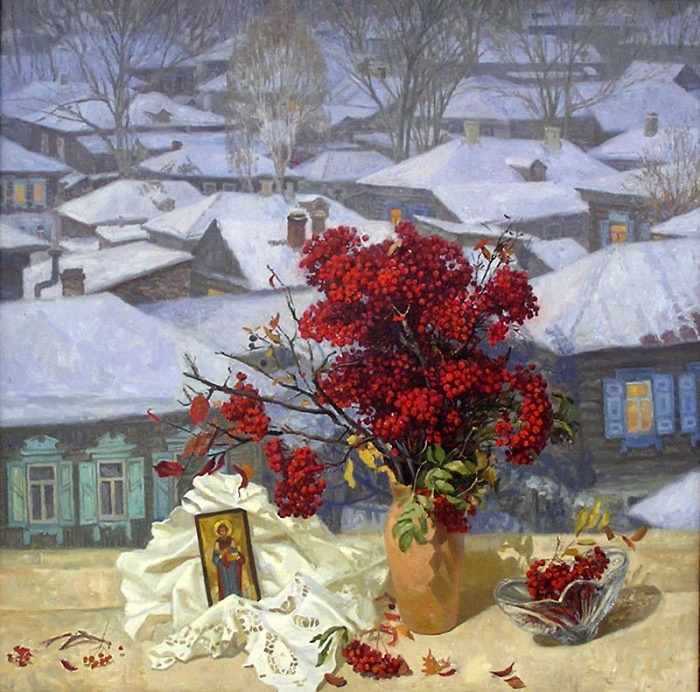 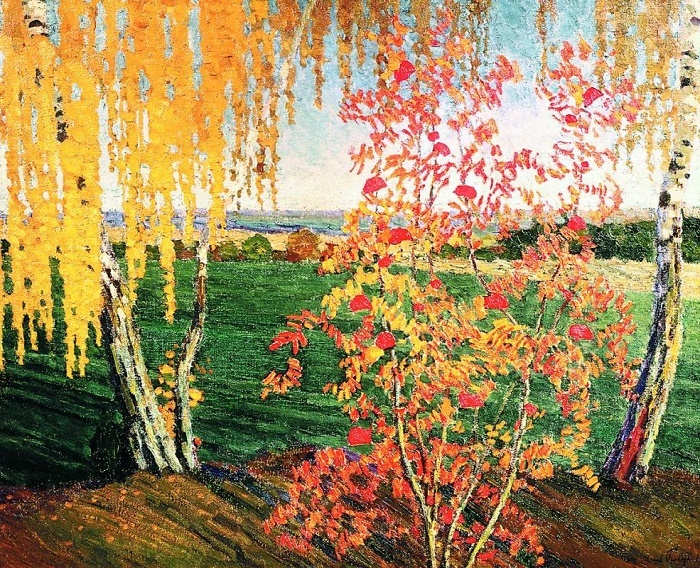 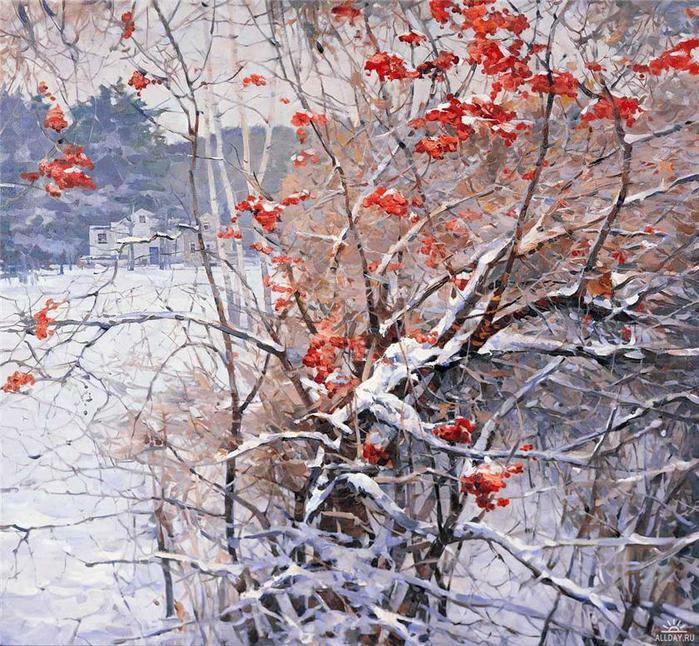 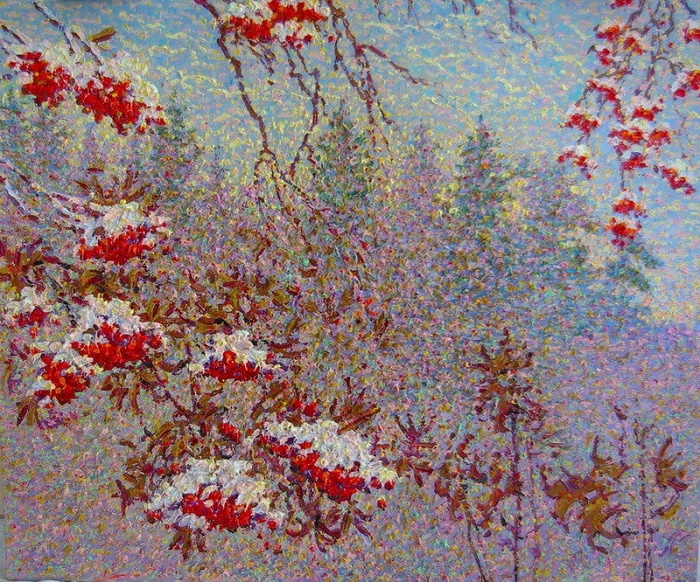 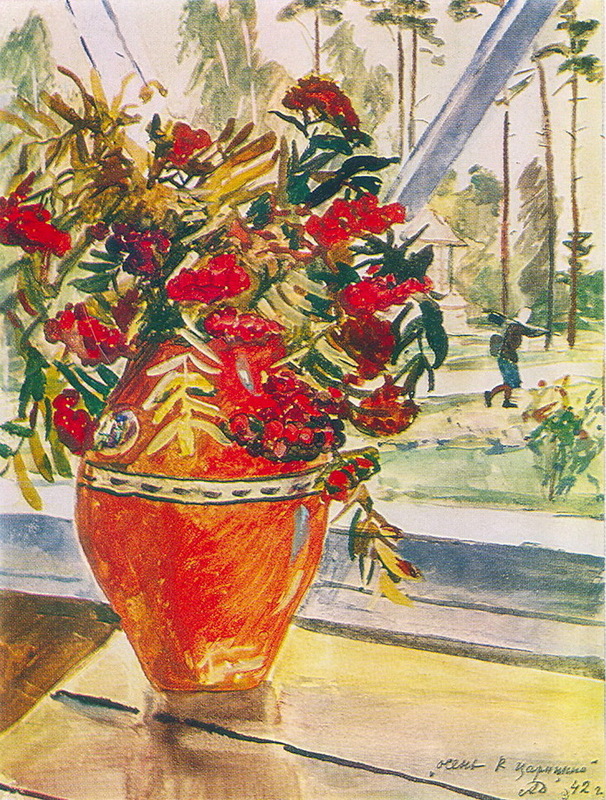 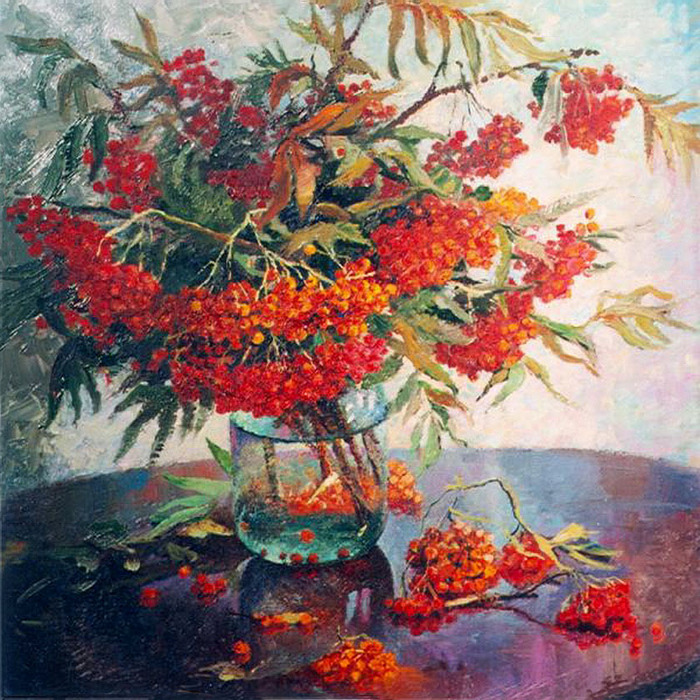 Rowan scenes in the paintings of Russian artists have always enjoyed a success and popularity with buyers of landscapes and still lifes. 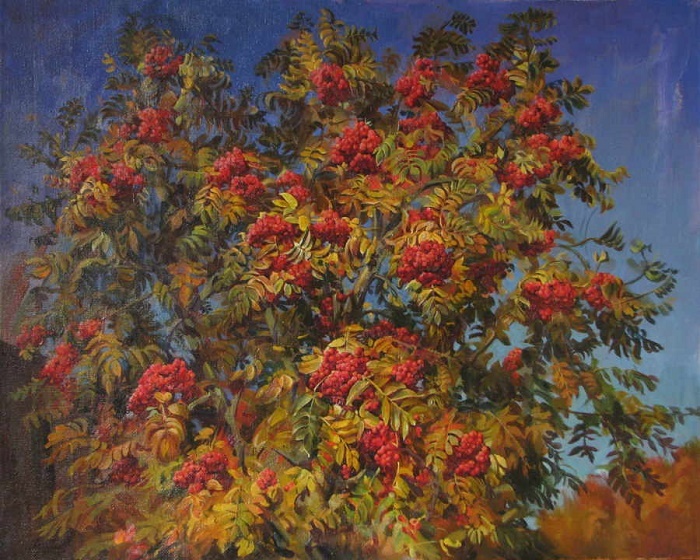 And when you look at rowan against the background of a blue autumn sky in bright sunlight and a light blow of the breeze. 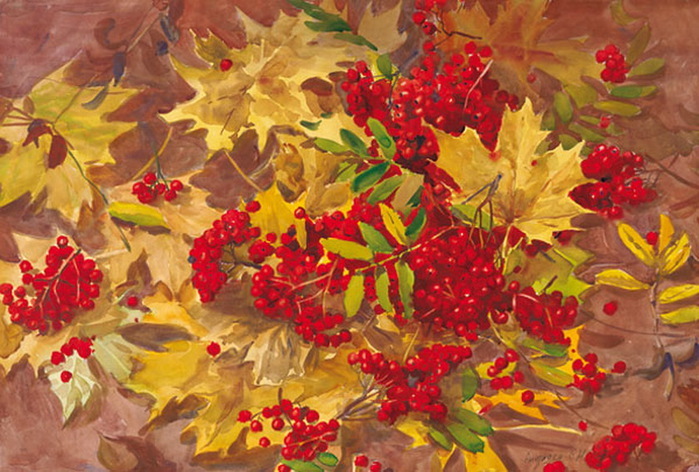 Slightly rustling leaves, and the berries seem to shimmer in the rays of the autumn sun. 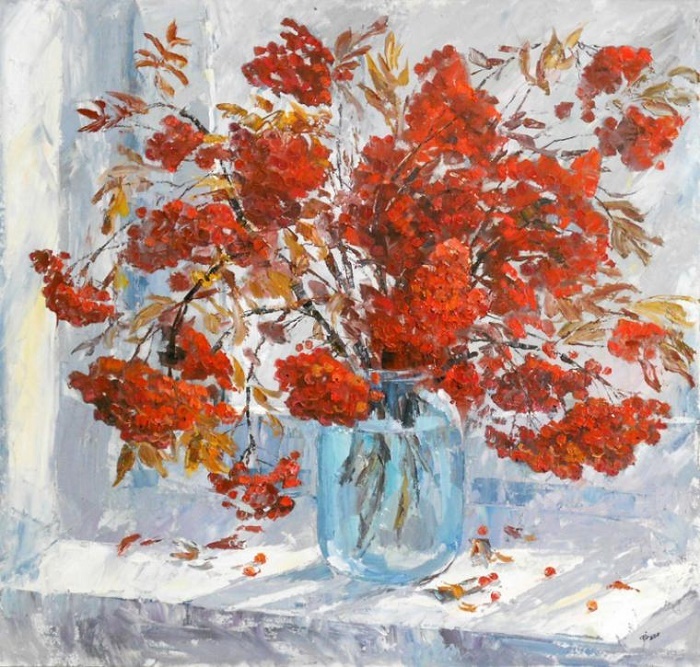 Rowan is fascinating not only for its appearance, but also for the aroma of ripe berries. 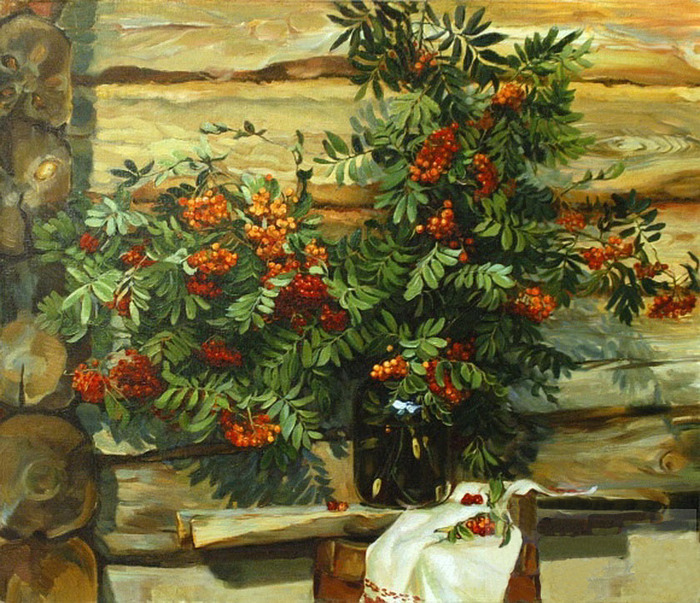 Traditionally, Rowan in the interior symbolizes health and wealth. 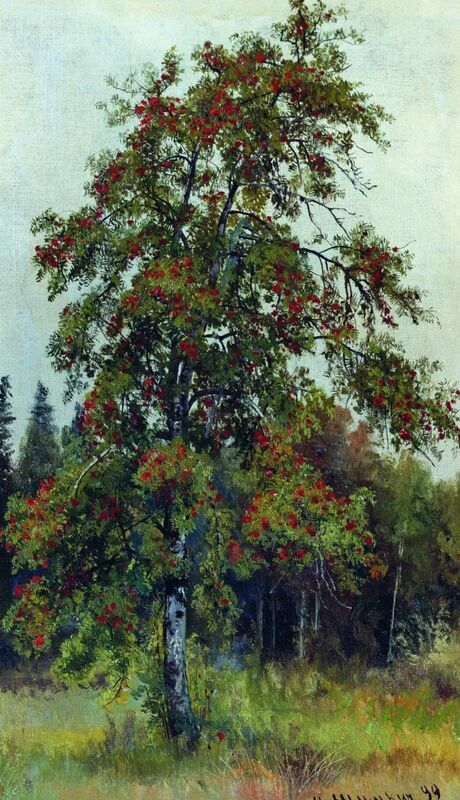 Besides, in the old days, according to beliefe, rowan helps in love affairs. 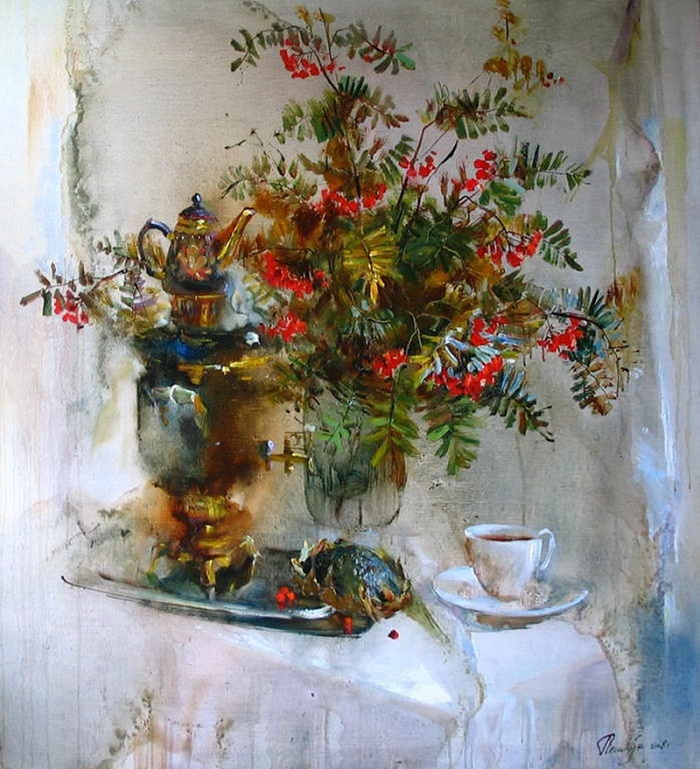 Its energy can contribute to the charm and attractiveness of women. 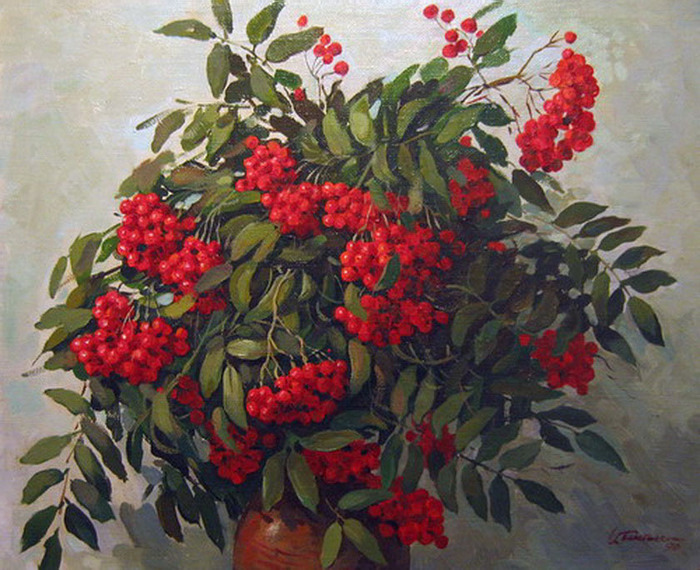 In addition, mountain ash is a strong amulet, a reliable guard, protecting against the invasion of evil forces.